Please refer to our stock # 1670pr when inquiring. 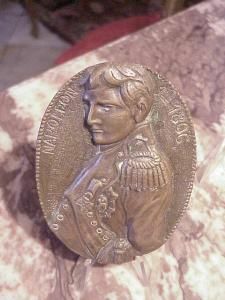 Dated 1-1806, titled 'Napoleon'. Oval 4" x 3" $425.